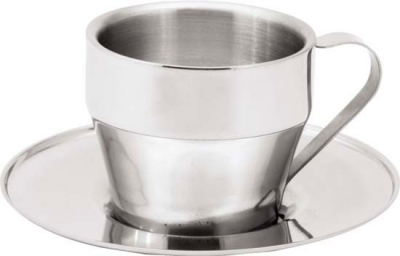 250ml stainless steel double walled cup & saucer set. Boxed. Size 85mm (diameter) x 75mm (height) . Brand Methods: Pad, Laser Branding Size Cup: 40 x 15mm Saucer: 40 x 15mm.